In May of 2018, I sat down with Dr. Melissa Littlefield, the author of Instrumental Intimacies: EEG Wearables and Neuroscientific Control, to talk about influences of culture and technology on our understanding of the brain. Megan Condis: Thank you so much for taking the time to talk with me about your book! Can you start off by telling me a little bit about your background? Melissa Littlefield: I’m an associate professor at the University of Illinois, Urbana-Champaign. I have a joint appointment between the English Department and the Kinesiology and Community Health Department and a zero-time appointment at the Beckman Institute for Advanced Technology. My research explores intersections between the humanities and the neurosciences—culturally and disciplinarily. I’ve also published The Lying Brain: Lie Detection in Science and Science Fiction (2011) and The Neuroscientific Turn: Transdisciplinarity in the Age of the Brain (2012, w/ Jenell Johnson). My work can be found in journals such as ST&HV; Frontiers in Human Neuroscience; Crime, Media Culture; and Social Studies of Science. M.C. : Neuroscience seems like a strange subject for an English professor to study! How did you decide to get into it and why? M.L. : Ahha, the million-dollar question! It’s actually not such a great leap: The neurosciences—like other sciences—are very much imbricated in culture and can be analyzed like other cultural practices. Scientific knowledge is often produced in fits and starts, by following certain leads and discarding others. At each stage in their development, the neurosciences offer up clues about what we value at a given moment in time. I became interested in working on the neurosciences when I was writing about lie detection and fMRI and EEG were some of the latest technologies to be used for the purpose of deception detection. Once I started working in the field, I was hooked—I even went on to run an fMRI experiment in Denmark (thanks to the European Neuroscience and Society Network and our host, Andreas Roepstorff, at Aarhus University). We planned to use the scanner against itself: to challenge the assumption that lying activates specific regions of the brain by illustrating that other kinds of communication, such as socially stressful truth-telling, could also activate the same regions. And our experiment worked! But working in the neurosciences as opposed to analyzing them from afar gave me a much greater respect for the kinds of work neuroscientists are doing, especially in terms of experimental design. All the while, Jenell Johnson and I were editing a collection on the ways that neuroscientific thinking was influencing (and invading?) 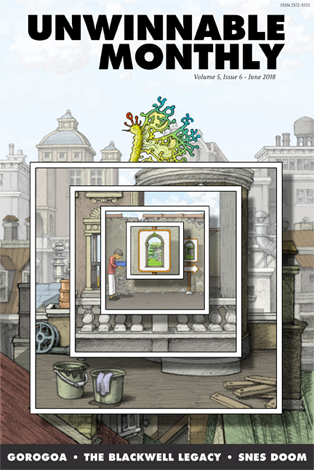 the humanities and social sciences—the result was our book on The Neuroscientific Turn (2012). M.C. 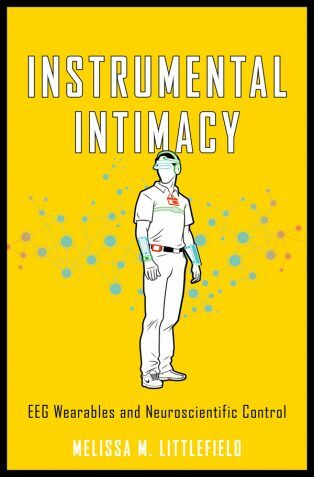 : Your newest book is called Instrumental Intimacy: EEG Wearables and Neuroscientific Control. What is an EEG wearable, anyway? Can you explain it in layman’s terms? M.L. : EEG wearables are a range of devices (from mobile EEG used in medical and research applications to novelty headbands) that record the aggregate electrical activity of neurons via electrodes attached to the scalp. To put it in simpler terms: EEG wearables collect and record the electrical activity in various parts of the brain. Algorithms then help to convert this raw data into information and, in some cases, an action plan for behavioral change. Many of the consumer-grade devices can send their data to an app on your smartphone so that users (and the device’s parent companies) can track their sleep, meditation practice or jet lag. Not all of these devices are created equal, and those on the consumer market often rely on a single-channel recording that picks up about as much noise as it does data. Mobile EEG is getting better, but laboratory recordings in controlled environments using multi-channel devices still yield the best results. M.C. : I really love the phrase “instrumental intimacy.” I find it a very poetic and evocative way to describe our relationship to the various technologies that permeate our lives. What does “instrumental intimacy” mean to you? M.L. : Instrumental intimacy was a phrase that came to me early in the writing of the book. Many of these EEG wearables were being marketed as tools to help us get in touch with ourselves, control ourselves, know ourselves. And I began to question this belief that we need a machine to help us know when we’re tired or relaxed or paying attention. I began to link these ideas to a longer historical trajectory of what Otniel Dror has called “machine-mediated seeing” – the belief that machines can run interference for us, increase our objectivity and reduce the messy subjectivity of being human. So, instrumental intimacy became my catchphrase for this desire to know ourselves—be more intimate with ourselves — via our relationships with tracking devices, data sets and measurable outcomes. M.C. : How do you think we might end up using the data collected from these wearable EEG devices in the future? M.L. : I think the field is pretty open at the moment. Many of the devices I discuss in the book are early in the developmental stage: some are still in R&D, some are prototypes being sold through a Kickstarter campaign and a few are being more widely applied. 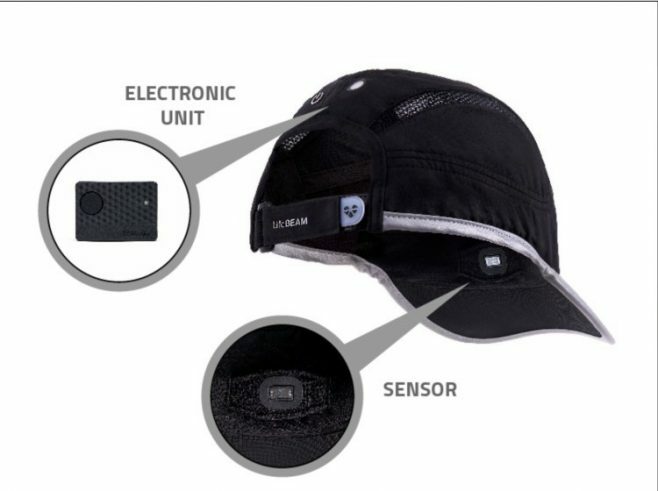 To answer your question, we might look to a wearable such as the SmartCap, which is being used by C&C Mining to track worker fatigue. This device is worn by miners all over the world and the data is being used for on-site fatigue management. One can only assume that the data could also be used for larger longitudinal studies of shift-workers. Other studies, such as those run by Chris Berka of Advanced Brain Monitoring, are funded by the US military. The studies themselves are about accelerated learning and “being in the zone”; they are using EEG wearables to track expert athletes and then they apply that data to novices. Via haptic feedback, even amateur archers are able to hit a bullseye with more frequency. We need only imagine the applications for the military . . . M.C. : Do you think that EEG wearables will become fashionable as well as functional? M.L. : Yes, and I’d say they already are en route! For example, there is the Necomimi is a cosplay device that reads your brain waves and uses them to animate a pair of cat ears worn on a headband. 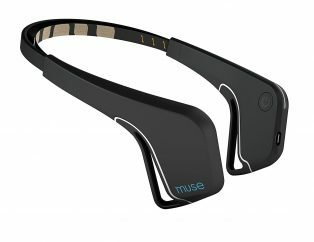 There are also products like the Muse headband, which are intended for exercise and meditation. The R&D for these devices seems to take them in two directions: first, to make them as discrete as possible and integrate them into something we already wear (headbands, baseball caps) and, second, to make them flirty and fun—which is the case with Nocomimi, NEUROTiQ, and a lot of the NeuroWear products—they even have a prototype of a tail that wags based on your EEG! M.C. : What are some of your favorite examples of body augmentation as depicted in pop culture? Do you think that any of these mods will actually be invented in our time? M.L. : One of my favorites in recent memory was the Zoe Implant from the film The Final Cut (2004). This device allows all of your visual and auditory experiences to be recorded and—when you die—played back and edited by a “cutter,” who decides how to represent your life. I mention this one in Chapter 4 “Neurogeography and the City” because I think the Neurocam (a wearable camera that seeks to detect your emotions via your brainwaves and automatically record moments of happiness or excitement) is bringing us closer to the reality of augmented memory. Another personal favorite are the avatars in Surrogates (2009), which is a total play on James Tiptree’s novella “The Girl Who Was Plugged In” (1974). [Editor’s note: the film is directly based on a graphic novel of the same name written by Robert Venditti, drawn by Brett Weldele] Both address what it means to be human in a world where your human body is infinitely more fragile and imperfect than the avatar you can live through—if you have the right connections and enough money. While I don’t see this shift fully happening anytime soon, we’ve already witnessed bits and pieces of it given all of the virtual reality worlds we live in and/or the drones that allow us to sit in one place and fly over another. M.C. : When you were writing the book, did you get a chance to try out any of these EEG wearables yourself? M.L. : Early on, I purchased a MindWave device and had every intention of trying it out — it’s a simple, single-channel EEG based headset that is supposed to pair with your smartphone for gaming and building concentration and meditation. But, I’m a bit of a luddite when it comes to smartphones, so my son tried it instead. He and his friends couldn’t get it to work and by the time I had a good enough smartphone to pair with the device, the software was outdated. Such is the future of these devices, at least in part! Just like a lot of other software, gimmicks and games, keeping up with the updates is going to be a crucial part of chasing the EEG wearable dream! M.C. : Did the process of writing this book change any of your daily habits or the way that you think about your body and your brain? M.L. : The short answer: yes. The biggest change is that when I write I turn on “alpha wave” sounds of one kind or another—usually via YouTube. Maybe it’s just a soothing placebo, but it really does get me in the zone to write. On a larger scale, one of the book’s basic premises (that we can only know and interact with aspects of our bodies once they become measurable) has reminded me why I love to do the research that I do. It’s a testament to the ways that technologies are products and producers of the way we think about ourselves, what we value, and what we hope to control. For example, before EEG, we understood sleep and death in fundamentally different ways than we do now. And, so, this project has inspired me to keep writing and digging in weird archives to find out more about the ways of thinking and being that we take for granted as natural or normal. M.C. : I want to wrap up with a pair of big philosophical questions: Are we our brains? Do our brainwaves really define us? M.L. : I suppose I could give you a huge philosophical run-around on this one. But, instead, I’ll say this: it’s perhaps more interesting to ask ourselves why we are invested in finding the “seat” of our identity or a biological explanation for our behaviors. And it’s really fascinating to see this explanation change over time: from a focus on our hearts or our guts or our genes. It should tell us something about the process of seeking and never quite finding the ultimate explanation. Megan Condis is an Assistant Professor of English at Stephen F. Austin State University. 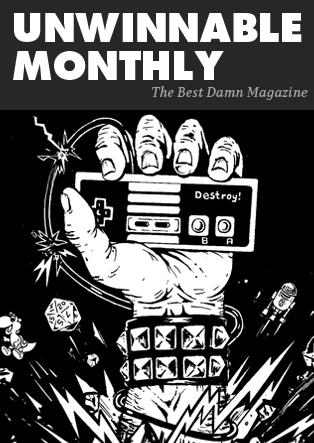 Her book project, Gaming Masculinity: Trolls, Fake Geeks, and the Gendered Battle for Online Culture, is out now through University of Iowa Press.